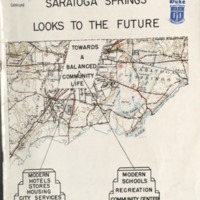 Saratoga Springs has been a divided space since the 1826 act creating the "village" of Saratoga Springs -- essentially the corridor following Broadway from Congress Park to the High Rock Spring. 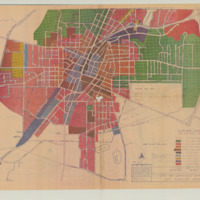 In the twentieth century, Saratoga Springs' City Council evaluated multiple uses of the space, and adopted the first zoning ordinance (with map) in 1923. 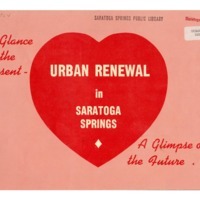 In meetings, the council decided to publicize the new 4-zone ordinance (which recognized single-family, multi-family, hotel and industrial use) in The Saratogian to help citizens understand the changes before voting on the ordinance in a referendum. 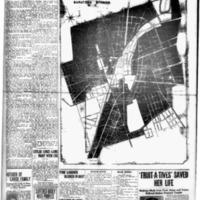 In public meetings, the Council heard individual property owners' concerns, making adjustments before the ordinance was adopted in 1924. 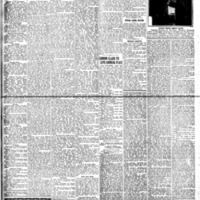 The city established the Zoning Board in 1937. 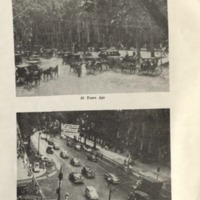 In subsequent years, including 1949, 1964, and 1970, committees or the Board have prepared or commissioned reports and plans to help the city plot for its future. 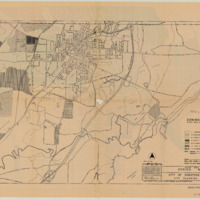 Today's zoning map and ordinance can be found as digital documents on the City's webpages.